Ralf: Nguyen did a fast and accurate translation for a competitive rate. I consider myself lucky to have worked with such an excellent translator. Computers (general), Computers: Systems, Networks, IT (Information Technology) No comment. IF YOU WERE ARRESTED FOR DOMESTIC ASSAULT OR MENACING…. -	understand that ORS 133.055 mandated (required) that the police officers take you into custody and lodge you in jail. The victim/complainant/witness did not arrest you. Family and household abuse will not be tolerated in this community! -	you may be offered the “deferred sentencing program”. If you qualify and enter a guilty plea you will enter a 6 to 12 month program of domestic violence counseling and, if determined through an evaluation, a drug and alcohol treatment program. If you successfully complete the program the guilty plea will be dropped from your record. IF YOU WERE ARRESTED FOR VIOLATING A RESTRAINING ORDER…. -	ORS 133.310(3) mandated (required) that you be arrested and taken into custody. -	only judges have the authority to modify or dismiss (vacate) the order that required your arrest. -	to avoid future arrests, review and follow the rules of the restraining order. -	understand that a restraining order does not stop the petitioner from calling, meeting, or living with you. YOUR behavior and actions are restrained, not theirs. If the petitioner has given you “permission” to call, visit or live with them, you are still subject to arrest! IF YOU BAIL OUT OF JAIL…. -	you will sign a release order and agreement stating you, the defendant, shall not conflict the victim unless specifically authorized by the court. If you violate the order, you are subject to arrest under ORS 133.310(6). COUNSELING AND TREATMENT RESOURCES AVAILABLE TO YOU…. -	biết rằng ORS 133.055 quy định (yêu cầu) các nhân viên cảnh sát bắt giam và đưa bạn vào tù. Nạn nhân/nguyên cáo/nhân chứng không bắt bạn. Hành vi ngược đãi trong gia đình và hộ gia đình sẽ không được dung thứ trong cộng đồng này! -	bạn có thể bị áp dụng “chương trình án treo”. Nếu đã được xác định qua việc đánh giá, qua chương trình điều trị thuốc và rượu, nếu bạn đủ điều kiện và nhận tội thì bạn sẽ tham gia chương trình tư vấn về bạo hành trong gia đình từ 6 đến 12 tháng. Nếu bạn hoàn thành được chương trình thì tội sẽ được xóa bỏ khỏi hồ sơ của bạn. -	ORS 133.310(3) quy định (yêu cầu) rằng bạn sẽ bị bắt và bị giam. -	chỉ có tòa án mới có quyền thay đổi hoặc hủy bỏ (hủy) lệnh bắt bạn. -	để tránh sau này không bị bắt, hãy xem lại và tuân thủ các quy định của lệnh cấm. -	biết rằng lệnh cấm không ngăn cản người đệ đơn gọi điện, gặp gỡ hoặc sống với bạn. Hành vi và các hành động CỦA BẠN bị cấm chứ không phải hành vi và hành động của họ. Dù người đệ đơn đã “cho phép” bạn gọi điện, thăm viếng hoặc sống với họ thì bạn vẫn bị bắt! NẾU BẠN ĐÓNG TIỀN BẢO LÃNH ĐỂ KHÔNG BỊ GIAM…. -	bạn sẽ ký vào lệnh thả và một cam kết nói rằng bạn là người bị can sẽ không gây xung đột với nạn nhân trừ khi được tòa án cho phép một cách cụ thể. Nếu vi phạm lệnh thì bạn sẽ lại bị bắt theo ORS 133.310(6). NGUỒN ĐIỀU TRỊ VÀ TƯ VẤN DÀNH CHO BẠN…. Please read these instructions completely before operating this oven and keep for future reference. The grille is not damaged or broken. The metal plates of a metal seal on the door are neither buckled nor deformed. The door seals are neither covered with food nor have large burn marks. Never tamper with or deactivate the interlocking devices on the door. Never poke an object, particularly a metal object, through a grille or between the door and the oven while the oven is operating. Never place saucepans, unopened cans or other heavy metal objects in the oven. Do not let other metallic articles, e.g. fast food foil containers, touch the side of the oven. Clean the oven cavity, the door and the seals with water and a mild detergent at regular intervals. Never use any form of abrasive cleaner that may scratch or scour surfaces around the door. Always use the oven with the trays or cookware recommended by the manufacturer. Never operate the oven without a load (i.e. an absorbing material such as food or water) in the oven cavity unless specifically allowed in the manufacturer’s literature. For horizontally hinged doors, never rest heavy objects such as food containers on the door while it is open. Do not place sealed containers in the microwave ovens. Baby bottles fitted with a screw cap or a teat are considered to be sealed containers. Before using CONVECTION, COMBINATION or GRILL function for the first time, wipe excessive oil off in oven cavity and operate the oven without food and accessories on Grill 1 for 20 minutes. This will allow the oil that is used for rust protection to be burned off. Exterior oven surfaces, including air vents on the cabinet and the oven door will get hot during CONVECTION, COMBINATION and GRILL. Use care when opening or closing door and when inserting or removing food and accessories. If the door or door seals are damaged, the appliance must not be opened until it has been repaired by a competent person. It is hazardous for anyone other than a competent person to carry out any service or repair operation that involves the removal of a cover which gives protection against exposure to microwave energy. Liquids and other foods must not be heated in sealed containers since they are liable to explode. Only allow children and persons with reduced physical, sensory or mental capabilities, or lack of experience and knowledge, to use the oven without supervision when adequate instructions have been given so that the child and such person is able to use oven in a safe way and understands the hazards of improper use. And children should be supervised to ensure that they do not play with the appliance. If the supply cord of this appliance is damaged, it must be replaced by a qualified service technician with the special cord available only from the manufacturer. When heating food in plastic or paper containers, keep an eye on the appliance due to the possibility of ignition. If smoke is observed, switch off or unplug the appliance and keep the door closed in order to stifle any flames. Microwave heating of beverages can result in delayed eruptive boiling, therefore care must be taken when handling the container. The contents of feeding bottles and baby food jars shall be stirred or shaken and the temperature checked before consumption, in order to avoid burns. Eggs in their shell and hard-boiled eggs should not be heated in microwave ovens since they may explode, even after microwave heating has ended. The door seals and door seal areas should be cleaned with a damp cloth. Failure to maintain the oven in a clean condition could lead to deterioration of the surface that could adversely affect the life of the appliance and possibly result in a hazardous situation. During use the appliance becomes hot. Care should be taken to avoid touching heating elements inside the appliance. A steam cleaner is not to be used. Read all instructions before using microwave oven. Some products such as whole eggs and sealed containers - (for example, closed glass jars and sealed baby bottles with a teat) - may explode and should not be heated in microwave oven. Use this microwave oven only for its intended use as described in this manual. As with any appliance, close supervision is necessary when used by children. Do not operate this microwave oven, if it is not working properly, or if it has been damaged or dropped. Do not overcook food. Carefully attend microwave oven if paper, plastic, or other combustible materials are placed inside the oven to facilitate cooking. Remove wire twist-ties from bags before placing bag in oven. If materials inside the oven should ignite, keep oven door closed, turn oven off at the wall switch, or shut off power at the fuse or circuit breaker panel. Do not remove outer panel from oven. This microwave oven must be earthed. In the event of an electrical short circuit, earthing reduces the risk of electric shock by providing an escape wire for the electric current. This microwave oven is equipped with a cord having an earthing wire with an earthing plug. The plug must be plugged into an outlet that is properly installed and earthed. WARNING–––Improper use of the earthing plug can result in a risk of electric shock. Your microwave ovens should be operated on a separate circuits from other appliances. Failure to do this may cause the power board fuse to blow, and/or food to cook slower. Do not insert higher value fuse in the power board. After using the oven, the fan rotates to cool the electric components. Do not switch the electric off for 5 minutes after using the oven. This is perfectly normal, and you can take out the food from the oven while the fan operates. The oven must be placed on a flat, stable surface, more than 85 cm above the floor. For correct operation, the oven must have sufficient air flow. Allow 15 cm of space on the top of the oven, 10 cm at back and 5 cm on both sides. If one side of the oven is placed flush to a wall, the other side or top must not be blocked. Do not remove feet. Do not block air vents. If they are blocked during operation, the oven may overheat. If the oven overheats, a thermal safety device will turn the oven off. The oven will remain inoperable unit it has cooled. Do not place oven near a hot or damp surface such as a gas stove, electric range or sink etc. Do not operate oven when room humidity is too high. The surfaces of top, back and left side of the oven become hot during operation. Do not allow the main cable to come in contact with these surfaces of the oven. This oven was manufactured for household use only. The microwave oven shall not be placed in a cabinet. In order to maintain high quality, do not operate the oven when empty. The microwave energy will reflect continuously throughout the oven if no food or water is present to absorb energy. Do not dry clothes, newspapers or other materials in oven. They may catch on fire. Do not use recycled paper products unless the paper product is labelled as safe for microwave oven use. Recycled paper products may contain impurities which may cause sparks and/or fires when used. Do not use newspapers or paper bags for cooking. Do not hit or strike control panel. Damage to controls may occur. POT HOLDERS may be needed as heat from food is transferred to the cooking container and from the container to the Ceramic Tray. The Ceramic Tray can be very hot after removing the cooking container from the oven. Do not store flammable materials next to, on top of, or in the oven. It could be a fire hazard. DO NOT use this oven to heat chemicals or other non-food products. DO NOT clean this oven with any product that is labeled as containing corrosive chemicals. The heating of corrosive chemicals in this oven may cause microwave radiation leaks. When using the COMBINATION mode, never place any aluminum or metal container directly on the Low Rack. Always insert a heat-proof, glass plate or dish between the Low Rack and the aluminum container. This will prevent sparking that may damage the oven. It is recommended not to use the Low/High Rack when cooking in the MICROWAVE mode only. If Ceramic Tray is hot, allow to cool before cleaning or placing in water. Do not use your oven for home canning or the heating of any closed jar. Pressure will build up and the jar may explode. In addition, the microwave oven cannot maintain the food at the correct canning temperature. Improperly canned food may spoil and be dangerous to consume. Potatoes, apples, egg yolks, chicken wing, whole squash and sausages are examples of foods with nonporous skins. This type of food must be pierced before cooking, to prevent bursting. Avoid using straight-sided containers with narrow necks. Stir the liquid before placing the container in the oven and again halfway through cooking time. After heating, allow to stand in the oven for a short time, stirring again before carefully removing the container. DO NOT USE A CONVENTIONAL MEAT THERMOMETER IN THE MICROWAVE OVEN. To check the degree of cooking of roasts and poultry use a MICROWAVE THERMOMETER. Alternatively, a conventional meat thermometer may be used after the food is removed from the oven. If undercooked, return meat or poultry to the oven and cook for a few more minutes at the recommended power level. It is important to ensure that meat and poultry are thoroughly cooked. COOKING TIMES given in the cookbook are APPROXIMATATE. Factors that may affect cooking time are preferred degree of moisture content, starting temperature, altitude, volume, size, shape of food and utensils used. As you become familiar with the oven, you will be able to adjust for these factors. It is better to UNDERCOOK RATRATHER THAN OVERCOOK foods. If food is undercooked, it can always be returned to the oven for further cooking. If food is overcooked, nothing can be done. Always start with minimum cooking times recommended. Extreme care should be taken when cooking popcorn in a microwave oven. Cook for minimum time as recommended by manufacturer. Use the directions suitable for the wattage of your microwave oven. NEVER leave oven unattended when popping popcorn. When reheating babies bottles always remove top and teat. Liquid at the top of the bottle will be much hotter than at the bottom and must be shaken thoroughly before checking the temperature. The lid must also be removed from babies food jars, the contents must also be stirred or shaken before the temperature is checked. Vui lòng đọc toàn bộ hướng dẫn trước khi sử dụng lò này và giữ lại để tham khảo trong tương lai. Lớp lưới không bị hỏng hoặc bị gãy. Cửa lò đạy kín và chắc chắn, đóng mở dễ dàng. Bản lề cửa ở điều kiện tốt. Các đĩa kim loại của đệm kim loại trên cửa không bị vênh hoặc biến dạng. Các đệm cửa không bị dính thực phẩm hoặc các lớp cháy lớn. Không được đập hoặc tắt các thiết bị khóa liên động trên cửa. Không được nhét vật gì, đặc biệt là vật kim loại qua khe hoặc giữa cửa và lò khi lò đang hoạt động. Không được đặt chảo, bình đóng kín và các vật kim loại nặng khác vào lò. Không để các vật kim loại như các khay gập đựng thức ăn nhanh chạm vào cạnh lò. Lau sạch khoang lò, cửa và vòng đệm bằng nước và chất tẩy rửa nhẹ khi không đun. Không bao giờ sử dụng bất cứ dạng tẩy rửa mài mòn nào có thể làm xước hoặc sói mòn bề mặt quanh cửa. Luôn sử dụng lò với các khay hoặc bộ nấu nướng do nhà sản xuất khuyến khích dùng. Không được bật lò mà không có nguyên liệu tải (ví dụ như một nguyên liệu hấp thụ như thức ăn hoặc nước) trong khoang lò trừ khi được chỉ định cụ thể theo hướng dẫn của nhà sản xuất. Đối với cửa trục ngang, không được để vật nặng như các hộp đựng thức ăn lên cửa khi cửa đang mở. Không được đặt các hộp đóng kín vào trong lò vi sóng. Các chai lọ có nắp vặn hoặc núm vặn được gọi là hộp kín. Không để trẻ nhỏ hoặc những người ốm yếu sử dụng mà không có sự giám sát. Cần giám sát trẻ chặt chẽ để chúng không nghịch lò. Trước khi sử dụng chức năng ĐỐI LƯU, KẾT HỢP hoặc NƯỚNG lần đầu tiên, hãy lau chùi dầu thừa khỏi khoang lò và bật lò chạy không có thực phẩm và phụ gia ở chế độ Nướng 1 trong vòng 20 phút. Mục đích là để đốt cháy hết dầu dùng bảo vệ rỉ sét. Mặt ngoài của lò gồm lỗ thông hơi trên ngăn và cửa lò sẽ nóng lên trong khi sử dụng chức năng ĐỐI LƯU, KẾT HỢP và NƯỚNG. Sử dụng cẩn thận khi mở hoặc đóng cửa và khi bỏ vào và lấy thức ăn, phụ phẩm ra. Nếu cửa hoặc núm cửa bị hỏng, bạn không được mở lò ra cho tới khi có người có đủ chuyên môn sửa chữa. Sẽ rất nguy hiểm nếu ai đó không phải người có chuyên môn thực hiện các dịch vụ hoặc sửa chữa liên quan tới việc tháo lớp vỏ bảo vệ năng lượng vi sóng. Không được làm nóng các chất lỏng và các thực phẩm khác ở trong hộp kín vì chúng có khả năng bị nổ. Chỉ cho phép trẻ em và những người khuyết tật về thể lý, cảm giác và khả năng tinh thần hoặc người thiếu kinh nghiệm và hiểu biết sử dụng lò mà không cần có sự giám sát sau khi đã được hướng dẫn kỹ càng để họ có thể sử dụng một cách an toàn và ý thức được những nguy cơ của việc sử dụng không đúng cách. Và nên giám sát trẻ chặt chẽ để chúng không nghịch lò. Các bộ phận có thể tiếp cận được sẽ nóng lên trong khi sử dụng. Trẻ em nhỏ cần phải tránh xa. Nếu dây nguồn của lò bị hỏng thì phải do thợ kỹ thuật dịch vụ chuyên nghiệp thay thế chỉ bằng dây nguồn đặc biệt từ nhà sản xuất. Chỉ sử dụng các bộ đồ nấu phù hợp cho các lò vi sóng. Khi nấu thức ăn trong các hộp giấy hoặc hộp nhựa, hãy lưu ý đến lò để đề phòng việc bắt lửa. Nếu thấy bốc khói thì tắt hoặc tháo nguồn khỏi lò và để cửa lò luôn đóng với mục đích làm tắt đám cháy trong đó. Dùng lò vi sóng hâm nóng đồ uống có thể gây ra tình trạng sôi phun trào trì hoãn do đó phải cẩn trọng khi sử dụng các bình đựng đồ. Thành phần bên trong chai sữa hoặc bình thức ăn trẻ em sẽ bị khuấy hoặc bị đảo lên nên cần kiểm tra nhiệt độ trước khi sử dụng để tránh bị bỏng. Không nên hâm nóng trứng sống và trứng luộc nóng ở trong lò vi sóng vì chúng có thể bị nổ, kể cả khi đã tắt làm nóng bằng vi sóng. Nên lau núm cửa và khu vực núm cửa bằng giẻ ẩm. Nên lau lò thường xuyên và loại bỏ những thức ăn còn vương lại. Việc không đảm bảo giữ lò ở điều kiện sạch sẽ có thể sẽ làm hỏng bề mặt lò và sẽ ảnh hưởng xấu đến tuổi thọ của thiết bị và có thể gây ra tình huống rủi ro. Lò sẽ nóng lên trong quá trình sử dụng. Nên cẩn thận không chạm vào các bộ phận làm nóng bên trong thiết bị. Không nên sử dụng bình hút ẩm. Đọc toàn bộ các hướng dẫn trước khi sử dụng lò vi sóng. Một số sản phẩm như trứng cả quả và các bình kín - (ví dụ, bình thủy tính kín và bình dành cho trẻ em có nắp kín) – có thể bị nổ do vậy không nên đun trong lò vi sóng. Chỉ sử dụng lò vi sóng cho các mục đích như đề cập trong tài liệu hướng dẫn sử dụng này. Cũng như các thiết bị khác, cần phải có sự giám sát chặt chẽ khi để trẻ em sử dụng. Không nên sử dụng lò vi sóng này nếu như lò không hoạt động tốt hoặc nếu nó đã bị hỏng hoặc bị đánh rơi. Không nên cất hoặc sử dụng lò ở ngoài trời. Không ngâm dây hoặc cắm vào nước. Để dây cách xa bề mặt làm nóng. Không để dây treo lơ lửng ở mép bàn hoặc ở phía bên kia bàn. Không nấu quá chín thực phẩm. Chú ý lò vi sóng cẩn thận nếu có vật liệu giấy, nhựa hoặc các vật liệu dễ cháy khác đặt bên trong lò để nấu được tiện dụng. Gỡ bỏ các dây kim loại buộc túi trước khi đặt túi vào lò. Nếu như các chất liệu bên trong lò bắt lửa thì cứ để cửa lò đóng, tắt lò ở công tắc trên tường hoặc tắt nguồn ở cầu trì hoặc bảng ngắt mạch. Không gỡ bỏ bảng ngoài khỏi lò. Lò vi sóng phải được nối đất. Trong trường hợp chập mạch điện, việc nối đất sẽ giảm nguy cơ bị điện giật qua việc cung cấp dây thoát cho dòng điện. Lò vi sóng được trang bị một dây dẫn có dây nối đất với một đầu cắm nối đất. Phích cắm phải được cắm vào ổ cắm được lắp đặt và kết nối đất đúng cách. CẢNH BÁO – Việc sử dụng sai phích nối đất có thể dẫn đến nguy cơ bị điện giật. Nên sử dụng lò vi sóng ở mạch riêng với các thiết bị khác. Việc không tuân thủ có thể làm bảng cầu chì bị nổ và/hoặc việc nấu nướng bị chậm đi. Không nên đặt cầu chì giá trị cao hơn vào bảng nguồn. Sau khi sử dụng lò, quạt bắt đầu quay để làm mát các thiết bị điện. Không nên tắt điện trước 5 phút sau khi sử dụng lò. Đây là điều rất bình thường và bạn có thể lấy thức ăn ra khỏi lò trong khi quạt vẫn chạy. Phải đặt lò ở nơi có mặt phẳng bằng và chắc, cao hơn sàn nhà 85 cm. Để hoạt động tốt thì lò cần có đủ luồng không khí. Để khoảng cách rộng 15 cm so với đỉnh lò, 10 cm đằng sau và 5 cm ở hai bên cạnh. Nếu một mặt của lò bị đặt sát tường thì mặt khác hoặc mặt trên nhất của lò không được bị chặn. Không được bỏ chân lò. Không được làm cản lỗ thông hơi. Nếu lỗ thông hơi bị cản trong quá trình sử dụng thì lò có thể bị quá nóng. Nếu lò bị quá nóng thì thiết bị an toàn nhiệt sẽ tắt lò. Lò sẽ không thể hoạt động cho tới khi nó được làm mát trở lại. Không được đặt lò gần bề mặt nóng hoặc ẩm ướt như bếp ga, bếp điện hoặc chậu v.v..
Không sử dụng lò khi độ ẩm trong phòng quá cao. Bề mặt trên, mặt sau và cạnh trái của lò sẽ nóng lên trong khi sử dụng. Không để cáp chính chạm với các bề mặt này của lò. Lò được sản suất chỉ dùng riêng trong gia đình. Không nên đặt lò vi sóng ở trong tủ. Để duy trì được chất lượng tốt, không sử dụng lò khi lò rỗng. Năng lượng vi sóng sẽ tác động liên tục khắp trong lò nếu không có thực phẩm hoặc nước để hấp thụ năng lượng. Không nên để giẻ khô, tạp chí hoặc các chất liệu khác ở trong lò. Chúng có thể bắt lửa. Không nên sử dụng các sản phẩm giấy tái chế trừ khi sản phẩm giấy có dán nhãn an toàn cho sử dụng với lò vi sóng. Các sản phẩm giấy tái chế có thể có các tạp chất có thể gây bắt lửa và/hoặc cháy khi sử dụng. Không sử dụng tạp chí hoặc túi giấy để nấu. Không va chạm hoặc đập vào bảng điều khiển. Có thể gây hỏng các điều khiển. Cần có QUAI NỒI vì nhiệt từ thực phẩm truyền vào nồi nấu và từ nồi nấu vào Khay Sứ. Khay Sứ có thể rất nóng sau khi lấy nồi nấu ra khỏi lò. Không nên để chất liệu dễ cháy bên cạnh, bên trên hoặc bên trong lò. Nó có thể gây cháy. KHÔNG sử dụng lò để làm nóng hóa chất hoặc các sản phẩm không phải thức ăn. KHÔNG lau lò bằng những sản phẩm có nhãn là hoá chất chứa chất ăn mòn. Việc làm nóng các hóa chất ăn mòn trong lò có thể làm rò rỉ bức xạ vi sóng. Khi sử dụng chế động KẾT HỢP, không được đặt đồ chứa bằng nhôm hoặc kim loại trực tiếp lên Giá Thấp. Luôn đặt đĩa hoặc khay thủy tinh, cách nhiệt giữa Giá Thấp và khay nhôm. Cách này có thể ngăn ngừa tình trạng bắt lửa gây hỏng lò. Không nên sử dụng Giá Thấp/Cao khi chỉ nấu ở chế độ VI SÓNG. Nếu Khay Sứ bị nóng, hãy để nguội trước khi lau hoặc đặt vào nước. Không nên sử dụng lò để bảo quản đồ hộp hoặc làm nóng bất cứ bình kín nào. Áp suất tích tụ sẽ làm nổ bình. Ngoài ra, lò vi sóng không thể duy trì thực phẩm ở nhiệt độ bình chính xác. Thực phẩm đóng hộp không đúng cách sẽ bị hỏng và nguy hiểm cho sử dụng. Không nên rán sâu mỡ trong lò vi sóng. Khoai tây, táo, trứng bóc vỏ, cánh gà, bí và lạp sườn là ví dụ về những thực phẩm có vỏ không xốp. Kiểu thực phẩm này phải được chọc lỗ trước khi nấu để tránh bị nổ. Tránh dùng những nồi thẳng đứng có cổ hẹp. Khuấy chất lỏng trước khi đặt nồi vào lò và khuấy lại giữa chừng trong thời gian nấu. Sau khi làm nóng, được phép để trong lò một thời gian ngắn, khuấy lại trước khi cẩn thận lấy nồi ra. KHÔNG NÊN SỬ DỤNG NHIỆT KẾ ĐO THỊT THÔNG THƯỜNG TRONG LÒ VI SÓNG. Để kiểm tra nhiệt độ nấu thịt và thịt gia cầm, hãy sử dụng NHIẾT KẾ VI SÓNG. Hoặc là có thể sử dụng nhiệt kế đo thịt thông thường sau khi lấy thực phẩm ra khỏi lò. Nếu chưa chín thì để thịt hoặc thịt gia cầm vào lò và nấu một vài phút nữa ở mức nhiệt đề suất. Quan trọng phải đảm bảo rằng thịt và thịt gia cầm được nấu chín. THỜI GIAN NẤU ghi trong sách nấu ăn là TƯƠNG ĐỐI. Những yếu tố có thể ảnh hưởng thời gian nấu ăn là nhiệt độ của thành phần độ ẩm, nhiệt độ bắt đầu, độ cao, thể tích, kích cỡ và hình dạng thực phẩm và bộ đồ nấu. Khi bạn đã quen với việc sử dụng lò, bạn sẽ có thể điều chỉnh theo những yếu tố này. Việc NẤU CHƯA CHÍN CÒN HƠN LÀ NẤU QUÁ KỸ thức ăn. Nếu thức ăn nấu chưa chín thì bạn luôn có thể đưa lại vào lò để nấu thêm. Nếu thức ăn bị nấu quá chín, chẳng có thể làm gì được nữa. Luôn luôn bắt đầu với thời gian nấu tối thiểu được khuyến nghị. Phải hết sức lưu ý khi nấu ngô hạt trong lò vi sóng. Nấu với thời gian tối thiểu theo khuyến nghị của nhà sản xuất. Sử dụng hướng dẫn phù hợp theo công suất lò vi sóng. KHÔNG thể không đứng trông khi nổ hạt ngô. Khi hâm lại bình sữa trẻ em, luôn luôn bỏ núm và nắp ra ngoài. Chất lỏng ở trên đỉnh bình sẽ nóng hơn ở đáy bình và phải lắc thật kỹ trước khi kiểm tra nhiệt độ. Tháo nắp các bình thức ăn trẻ em, phải khuấy hoặc lắc bình trước khi kiểm tra nhiệt độ. Before operating this hair styler, please read these instructions completely and save this manual for future use. Before connecting the hair styler, check that the voltage of the hair styler corresponds to the local voltage. Do not cut, damage or modify the cord. Do not pull, twist or bend the cord with unnecessary force. Do not place heavy objects on the cord or allow it to get pinched in between objects. Do not wrap the cord around the hair styler as it may cause fire and/or electric shock. If the cord is damaged or becomes hot, stop using it immediately. When the hair styler is used in a bathroom, unplug it after use since the proximity of water presents a hazard even when the hair styler is switched off. Stop using it immediately if the hair styler does not produce air constantly and the cord or plug is damaged or becomes hot, or the plug fits loosely in the outlet. Do not use or place the hair styler in an area with high humidity. Do not submerge the hair styler in water. Only use the hair styler for drying and styling human hair. Do not use it for children. Trước khi thao tác máy uốn tóc này, vui lòng đọc hết các hướng dẫn này và giữ lại để sử dụng trong tương lai. Trước khi cắm điện vào máy, kiểm tra để đảm bảo rằng điện thế của của máy tương ứng với điện thế sử dụng trong vùng. Không cắt, làm hỏng hoặc làm biến đổi dây điện. Không kéo, xoắn hoặc gập dây điện quá mạnh. Không đè vật nặng lên dây điện hoặc để dây điện kẹp giữa các đồ vật. Không cuốn dây điện xung quanh máy uốn tóc vì làm như vậy có thể gây hỏa hoạn và/hoặc điện giật. Nếu dây điện bị hỏng hoặc bắt đầu nóng lên, hãy ngừng sử dụng máy ngay. Khi sử dụng máy uốn tóc trong phòng tắm, cần rút điện của máy khỏi phích cắm sau khi sử dụng để tránh rủi ro xảy ra khi máy tiếp xúc gần nước ngay cả khi máy uốn tóc đã được tắt. Ngừng sử dụng ngay nếu máy uốn tóc có những đợt phả khí ngắt quãng và nếu dây điện hoặc phích cắm bị hỏng hoặc bắt đầu nóng lên, hoặc nếu phích cắm lỏng ra. Không sử dụng hay để máy uốn tóc trong môi trường có độ ẩm cao. Không để máy uốn tóc rơi vào nước. Chỉ sử dụng máy uốn tóc để sấy khô và tạo các kiểu tóc. Không sử dụng máy uốn tóc cho trẻ nhỏ. Can I update the firmware on my hard drive if it is installed in a Mac? Yes, however it must be an Intel-based Mac (i.e. MacPro and iMac - with Intel inside). There are other models of Macs that have Intel processors such as the MacBook and MacBook Pro notebooks as well as the Mac Mini, but these drives have notebook (2.5 inch) drives which are not affected. I have a PowerMac. Can I update the firmware on my hard drive? Older Macs that are PowerPC-based (PowerMac G3, G4, G5 and iMac G3, G4, and G5) are incompatible with the FreeDOS operating system which is required to perform the update. 1. Choose the Apple from the menu. 5. Highlight the appropriate drive listed under the bus. 6. Below you will see the Model and Serial number of the highlighted drive. Instructions for updating firmware on an Intel based Mac. 3. Insert the freshly burned CD back in to your Mac. 5. After the chime, press and hold the Option key on the keyboard. 6. Once you see the Apple with the spinning gear beneath, release the Option Key.At this point the system will come to a screen with pictures of hard drives and a CD; the CD should be named Seagate. 8. Click on the arrow pointing to the right. 9. At this point FreeDOS will boot. Follow the on screen instructions. Click here for a walkthrough of the FreeDOS update procedure. Tôi có thể cập nhật phần mềm cho ổ đĩa cứng của tôi nếu nó cài đặt trong Mac không? Được, nhưng ổ đĩa cứng đó phải là loại Mac trên nền tảng Intel. (Ví dụ như MacPro và iMac - có Intel bên trong). Các mẫu khác của Macs có bộ xử lý Intel như máy xách tay MacBook và MacBook Pro cũng như là Mac Mini, nhưng các ổ này có ổ (2,5 inch) máy xách tay không bị ảnh hưởng. Tôi có máy PowerMac. Tôi có thể cập nhật phần mềm cho ổ cứng của tôi không? Các máy Macs cũ hơn sử dụng PowerPC như (PowerMac G3, G4, G5 và iMac G3, G4, và G5) không tương thích với hệ điều hành FreeDOS cần để thực hiện cập nhật. Làm thế nào để tìm số sêri ổ đĩa và số mẫu máy ở Mac OS X? 1. Chọn Quả táo từ trình đơn. 2. Chọn "About this Mac"
5. Đánh dấu ổ đĩa phù hợp được liệt kê trong buýt. 6. Bên dưới bạn sẽ nhìn thấy số Mẫu và số Sêri của ổ đĩa được đánh dấu. Hướng dẫn cập nhật phần mềm cho máy Mac sử dụng Intel. 1. Tải về và chuyển Firmware ISO do Seagate cung cấp cho các ổ đĩa của bạn. 3. Cho đĩa CD mới được tạo vào máy Mac. 5. Sau khi có tiếng khởi động, nhấn và giữ phím Lựa chọn trên bàn phím. 6. Một khi bạn nhìn thấy bánh xe quay tròn bên dưới hãy nhả phím Lựa chọn. Vào lúc này, hệ thống sẽ chuyển sang màn hình có hình ảnh các ổ đĩa cứng và một ổ CD; ổ CD có tên là Seagate. 8. Nhấp vào mũi tên chỉ sang bên phải. 9. Lúc này FreeDOS sẽ khởi động. 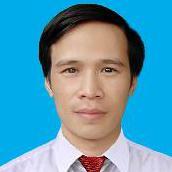 Làm theo các chỉ dẫn trên màn hình. Nhấp vào đây để xem hướng dẫn về quy trình cập nhật FreeDOS. Lưu ý: Nếu bàn phím của bạn không hoạt động bên trong FreeDOS thì bạn hãy sử dụng bàn phím có dây thay vì bàn phím không dây. Experience Years of translation experience: 20. Registered at ProZ.com: Aug 2007. Became a member: Aug 2008. 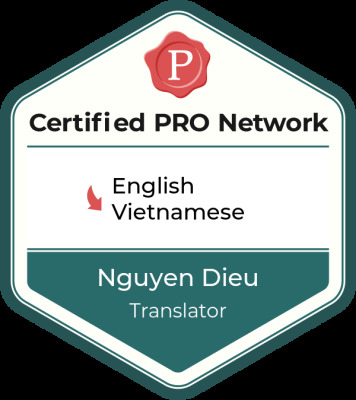 Professional practices Nguyen Dieu endorses ProZ.com's Professional Guidelines (v1.1). As a freelance translator, I am aware that quality and deadline are the most important priorities. Therefore, I always do my best to offer you my best services for cooperation in the long run. HIV/AIDS; Gender, Sexual Transmitted Diseases, mental health documents etc.